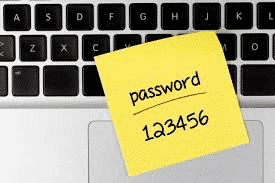 Being an information security consultant I am often asked how to balance the need for online passwords that are both hard to guess and easy to remember. There are a number of solutions out there for dealing with the problem, but the system that I’m about to outline below is an elegant hybrid of simplicity and security. It works for me, and I think it can work for you as well. The main issue we’re all grappling with is the number and complexity of the passwords we need to remember. Ideally, we would never share a password between any two sites. They would all be different and at the same time highly complex. Unfortunately, this doesn’t mesh well with reality. The human brain just isn’t up to the task. The way we get around this limitation is to classify our online accounts according to risk. In other words, we’re going to determine how important each of our accounts are, and then put them into one of three (3) groups. For the purposes of this article we’ll use the military classifications. Top Secret Banking, brokerages, financially or identity-oriented sites. Think about your social security number and other sensitive personal data. Any accounts of this nature you want to protect with your strongest layer of security. Secret Personal email, blogging sites, important forums, etc. These are your main accounts that you use on a day-to-day basis. They aren’t ultra-sensitive, but they a huge part of your life and need to be secure. Confidential Product forums, mailing lists, etc. These are your low-risk accounts, meaning that if one were to be compromised it would be annoying but not a major problem. We’re still going to have relatively strong passwords here, but they’re going to be simple in comparison to the two higher levels. ** Also keep in mind whether or not a site supports encrypted logins or not when assigning your accounts to these groups. Never put an account into the top two groups (Top Secret or Secret) if that site doesn’t support encryption. We don’t want someone possibly intercepting one of your upper-level passwords. My Online Bank Password Is Not Simple To Guess At All, Julie. You will be writing these passwords down on a card in your wallet or purse, so it doesn’t matter if you can’t remember the password at first. After you use it a few times it’ll become second nature regardless of how complex it is. One point on writing down passwords: Many people think this is a bad idea, but that fully depends on how you secure them once their written down. Sticky note on monitor? Bad. Wallet? Good. You have to balance the risk of strong passwords in your wallet vs. weak ones in your brain. Regardless of the scheme you use to create your passwords, you want them to be a) pseudo-random/highly complex, b) over 10 characters in length, and d) absolutely unique. In short, we don’t want someone with your brokerage account password to be able to log into your bank with the same credentials. With the secret level accounts we’re going to introduce an aspect of simplicity/usability. We’ll do this by creating an algorithm for creating and varying passwords for various sites while still maintaining the appearance of randomness within each individual password. In short, all level 2 (Secret) passwords will be generated by the same algorithm. As such, they’ll look very similar to you, but will look like random garbage when viewed independently by an outsider. For our lowest security level (3) we’re going to use an algorithm similar to the secret level (2), only it’s going to be completely different and much simpler. Remember, these are your unimportant accounts; you wouldn’t want them to be compromised, of course, but if they were then it wouldn’t be that big of a deal. Again, you now have a decent password that’s not easy to guess and will give a bit of difficulty if someone gets one and tries to guess others. Of course, if they get one of these level 3 passwords and try to break your Secret (2) or Top Secret (1) passwords, they’ll be unsuccessful. Memorize your algorithm and write down your passwords on a card in your wallet. Don’t write down the algorithm itself. Just seeing a password created with it should jar your memory. For an extra layer of security you can consider leaving out or modifying a crucial part of the passwords you write down. This way, even someone with the card will not be able to use it. Be warned that if you forget what you changed, however, you’ll be very upset. Change your level 1 passwords often as well. With the strength that we’re using in this article I’d advocate once every 6-months. Many also use what’s effectively a level 4 account, i.e. a throw-away password that is used for accounts even lower in importance than level 3. Usually this is a static password. Just be sure to be very selective about where you use such a password, and make it as complex and long as possible while retaining its benefit of simplicity. An encrypted database is another option for managing passwords. I advocate this method over that one due to issues with losing or damaging the portable storage that the DB is stored on, in addition to not being comfortable with using such a system on a foreign computer (where necessarily you open ALL of your passwords to the system being used). It’s really a matter of personal preference, however, as both systems have their strengths and weaknesses.